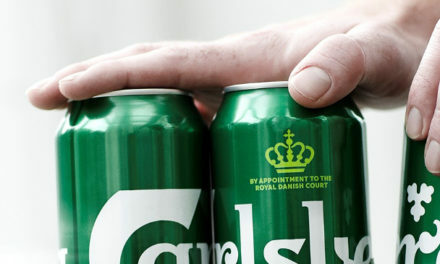 Gaia Holding AB is run by Åke Rosén and his son, Carl-Johan Rosén. The parent company Gaia in France is owned by Åke Rosén and Carl-Johan Rosen is president of the Swedish business. 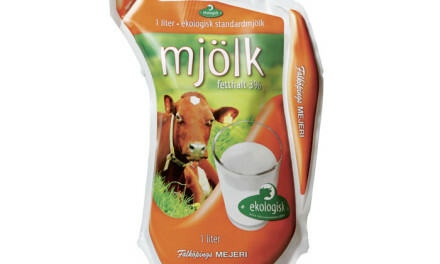 Åke Rosén was involved in the development of Tetra Pak with the Rausing brothers and started packaging company EcoLean in Helsingborg, which was subsequently sold to Hans Rausing in the early 2000s. 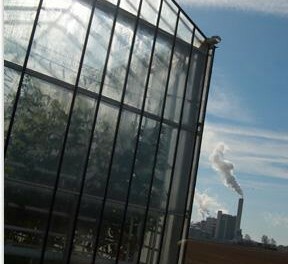 Gaia produces bioplastics in Germany and Italy. During 2015, the production is estimated at between 12 and 20 million bags. Gaia shares offices with waste company NSR in Helsingborg and runs a laboratory with chemicals company Perstorp AB. A trash bag that consists of lime, vegetable starch and biodegradable polyester has recently been developed. It took Åke Rosén, founder of EcoLean, three years to perfect the new environmentally friendly bag. The bag is now commercially available in Sweden and is sold by Gaia Holding AB that specializes in household, commercial kitchen and restaurant waste. “Gaia means Mother Earth and the chalk or lime used in the bags is naturally recycled when broken down. The starch we use comes from corn and potatoes,” says Åke Rosén, is CEO of Gaia. When a Biodolomer® bag ends up in a compost heap it is broken down by microorganisms, a process that takes between 40 to 70 days. The bags turn into carbon dioxide, water and a lime-based fertilizer that contains silicon, calcium and magnesium – catalysts for good growth. During the winter of 2013-2014, 800 households in the Klippan municipality tested the new waste bags, and sanitation company NSR tested a 45-liter bag for hospitals, restaurants and schools. Both tests were very promising and Gaia hopes to gradually be able to replace the brown paper bag currently in use today for organic waste. According to Rosén volumes for these new bags could easily reach in the millions. During the summer of 2013, sanitation company Nårab ordered one million garbage bags from Gaia and the company has received orders for millions more from municipalities in Norway. “Another important factor is that the EU Parliament voted in a proposal in the spring of 2014 to reduce the use of plastic bags by 80 percent by 2019. The intention is for plastic bags to be replaced by ones made of recycled paper, or from biodegradable and compostable materials. This is an opportunity to start major production in Sweden and requires biogas plants that can handle the new waste bag, something that is missing in Helsingborg,” concludes Rosén. 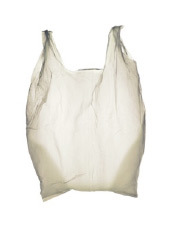 It is possible to manufacture biodegradable compost bags in several different ways and polymer polycaprolactone (CAPA™) can be a supplement to Biodolomer. Mixing CAPA™ with Biodolomer changes the material in several ways. The biomaterial becomes easier to process, which is good from a process viewpoint, but CAPA™ also creates points of attack for microorganisms to quickly and efficiently break down the materials. Chemical company Perstorp AB is a world-leading manufacturer of CAPA™ and together with Gaia has developed new and competitive solutions in compostable biomaterials. First up is a biodegradable mulch bag made of CAPA™. The bag is currently being evaluated for use in the digestion process for biogas production. CAPA™ is approved in Europe for food contact since 2014. This means that the material can be used for a number of new packaging applications. Examples include shopping bags, beverage bottles, packaging for fresh or processed foods and disposable glasses, plates and cutlery. Gaia has reached an agreement with a Vietnamese company to develop polymeric compounds and biodegradable plastics. A demo plant will be constructed outside Saigon. The agreement was reached during a trip to Vietnam organized by the Growth Board (Tillväxtverket) and Centec Hanoi, (Center for Environmental Technology Cooperation). According to Gaia, the demo plant will be complemented by the development of systems for the production of biogas. 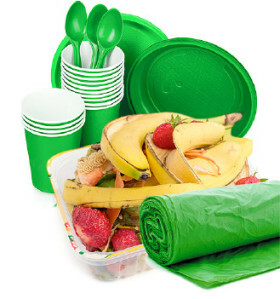 European Bioplastics, a trade association, believe that bioplastics are driving developments in the plastics industry. The European Commission has made bioplastics a “Lead MARKET” product to facilitate product and process development, something that Perstorp AB is heavily involved in. What are bioplastics? Bio-based means that the material is entirely, or partly, derived from corn, sugarcane and wheat biomass. One benefit from a climate perspective is that bioplastics are made of renewable materials instead of petroleum-based fossil raw materials, which reduces carbon dioxide emissions and conserves the earth’s resources. Bioplastics are already playing an important role in short-lived product packaging but are gradually developing into more and more durable products. Some examples include parts of computer keyboards, mobile phone housings and components in the automotive industry.